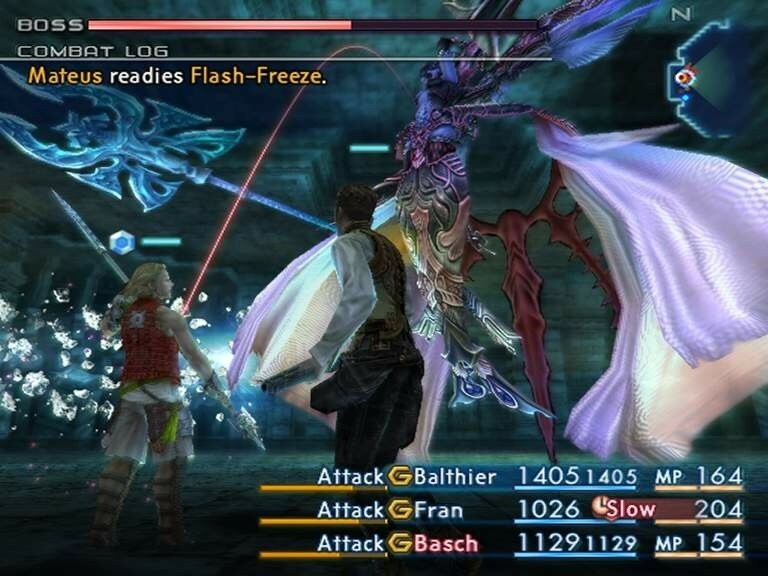 I press ever onward with Final Fantasy XII. I have stopped taking on hunts as they tend to just waste time, aiming more to just move the plot forward and work my way to the end. I’ve mentioned previously that I have beat this game before, but I don’t remember at all what happens in the end or know how close I might be right now. I’m now around day 32 with the game, still keeping to about an hour of playtime per day on average. Maybe I’ll have it wrapped up by day 40. Yeesh. So I’m starting to become really torn with Final Fantasy XII. I still really love the fluidity of the battle system, and now that everyone has got all three of their Quickenings learned I’m able to pull off some wicked combos. I’m still having a blast gradually filling out the licence boards as well, slowly trucking along through them. Unfortunately the plot is starting to bore me. Ten years ago I got really into FFXII, following a lackluster experience with FFX. Nowadays the roles have mostly flipped; I got super into FFX’s story and loved watching the pilgrimage unfold, while FFXII’s journey is far more slowly paced. There will be a big, long cutscene with lots going on, then lots and lots of running from one area to another. My party’s travels have been referred to as a pilgrimage in-game, which is when I first started drawing comparisons to Final Fantasy X, and since that word popped up I can’t help but see more parallels. The licence board is basically a rejigged Sphere Grid – in time and with enough grinding, everyone can learn everything and excel at every kind of attack or ability. Plus the journey shows us walking all across the world, claiming new summon allies and important items (like the Dawn Shard or Sword of Kings) from temples filled with puzzles. And at the end of her journey, the heroine will supposedly have the capability to bring peace back to the land. The stories are still incredibly different, and the play styles vastly differ as well, but once you notice one similarity it’s difficult not to see more and more. Perhaps one reason the plot seems to move so slowly for me is due to the lack of time I’ve had to dedicate to it, but then Final Fantasy IX took me around a month to complete, and it never felt like things were being dragged out unnecessarily. In FFIX every time I reached a destination, my objective changed and the story moved forward. 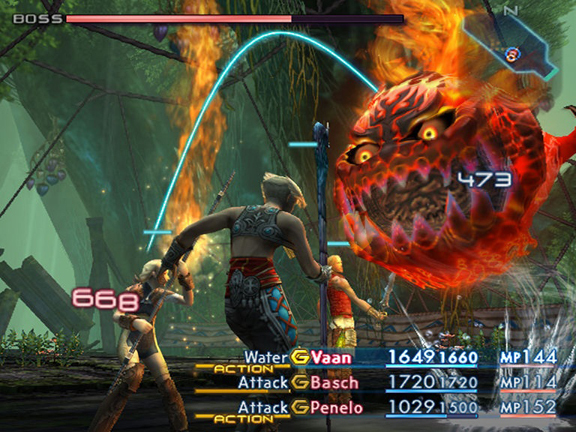 With FFXII it seems like I’m running a wild goose chase. I want these one or two important items, but I have to travel to four or five different places in order to track them down. And let me tell you, a whole lot of nothing happens during most of that running around. This is why I tend to really love the marks, as they offer a bit of an extra challenge and deviation from the slog of the normal running around. Sure, it only draws out the slowness of the plot progression even more, but tracking down a mark and taking it down, earning that new set of gear, gaining that bit of extra experience – it all feels more worthwhile and fulfilling than running across Random Plains Number 6 to reach Assorted New Destination Number 9. Sadly I just don’t have time to spend on those hunts if I want to move on any time soon, so as I said at the beginning, I shall on and keep working my way to the end. So keep watching that #RoadtoXVin15 hashtag and give me a follow on Twitter, and hopefully by next week’s update I’ll be giving you my closing thoughts on Final Fantasy XII. No guarantees, of course, but one can hope.